The ZOE XL 1 BEST v2 is a lightweight stroller that comes standard with several features parents may want. This stroller has a storage bin, back pocket, cup holder and snack holders for passengers. The BEST has the largest canopy in the group complete with a zippered panel and a mesh peek-a-boo window that makes spying on little ones a snap. The ZOE is not the best at moving off of paved surfaces, and we weren't that impressed with the quality of the materials used in its constructions. However, we do think the ZOE is easy to use, has a good design, and features parents will love. This makes it a top performing stroller with a very reasonable price that we think parents will love. The ZOE XL1 BEST v2 is a lightweight umbrella stroller with several convenience features parents like. In 2015, a family with over 60 years combined experience in the juvenile products field started the ZOE company. They had a goal to design quality strollers, with multiple features for an affordable price with nothing left to purchase. The company is experiencing success and sells out each product run with additional orders waiting. The BEST (in blue) impressed during testing earning an impressive score compared to the competition. For additional information on the BEST continue reading the details below. The BEST is a lightweight option with the 4th lowest weight in the group which makes it easier to lift. The BEST is 11.8 lbs with only three other strollers weighing less making it one of the lightest options in the review and earning it a 7 of 10 score for this metric. It measures 5,544 cubic inches which is about average for the group and smaller than the ZOE XL1 Deluxe that it replaced. The higher scoring BabyZen Yoyo+ is smaller but costs more than the BEST. The BEST is very easy to use with top performance compared to the competition and enough convenience features to be used as an everyday stroller. The BEST earned the high for the metric of 8 of 10 with easy to use features that function well compared to the competition. With a giant canopy, bumper bar, cup holder, and child snack accessories, the BEST has some features other umbrella strollers skip. The ZOE fold is initiated with a strap under a fabric flap on the seat bottom (above right). This stroller folds with one hand and has an automatic lock and self-stand. You need two hands to unfold it and the self-stand can be tricky if the wheels are not in the right direction. The ZOE has double sides brake pedals that are easy to set and release. The BEST has larger pedals located close to the rear wheels. The pedals move smoothly and give you a confident feeling that they are set. The brakes are easy to set and release without difficulty even for sandaled feet. The BEST has a relatively large feeling storage bin (above left) for an umbrella product despite its medium size. It holds up to 10 lbs and the top is elastic so you can stretch it to fit larger items. The BEST also has a pocket on the canopy and a parent cup holder. Children have either a bumper bar or snack holders (above right). The ZOE sunshade is large, easy to operate and comes with a zip-open panel, mesh peek-a-boo window and a back pocket. The ZOE canopy is the largest one in the group hands down. It even has a mesh peek-a-boo window which is a rarity with the lightweight products. The mesh peek-a-boo window on the ZOE XL1 BEST v2 is large enough to see little ones with a cover that keeps out the sun. This canopy is the largest in the group when fully extended. A zip-open panel that makes the canopy even larger almost turning the ZOE into a cocoon. The BEST has a nice buckle with smooth straps that adjust easily and padded shoulders. The BEST harness is the easiest to adjust and rethreading. The buckle works smoothly and doesn't require excessive pressure to operate. The shoulder straps are lightly padded and someone rough feeling, but they don't get in the way of adjusting. The BEST seat has a fairly deep recline cozy enough for napping. The adjustment toggle is plastic and operates with one hand, though it isn't the smoothest in the group to operate. While it doesn't have an adjustable leg rest, the canopy extends far enough to create some privacy that limits outside stimulation. 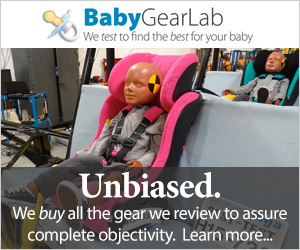 The BEST does not work with any infant car seat. However, most of the true umbrella style products do not and we wouldn't consider this a drawback. The ZOE is super easy to assemble taking less than 3 minutes from start to finish with no tools necessary. The manual is simple and clear, a great improvement over previous ZOE strollers that did not include instructions and instead relied on videos posted online. The ZOE does its best maneuvering on paved and flat surfaces. ZOE recently improved their standard wheels which helped the BEST earn a 5 of 10 compared to the previous version's 2. The stroller has the single front wheels on each individual leg (below left) that usually translates to a stroller that is easier to push and turn. The wheels can be locked in place (above right) if the road gets bumpy, but it doesn't improve performance as much as you may want it to. In general, the BEST does well enough on paved flat surfaces but like most of the umbrella options, it struggles when you move onto grass or gravel. In fairness, it isn't designed for this kind of use. The only real disappointing aspect of the BEST is that the materials do not feel as durable as they could be. The ZOE is a nice stroller but compared to the materials found on some of the competition it struggled to keep up with the quality earning only 4 of 10. The stroller looks nice and is sturdier than some of the competition with less flex. However, the fabric, mesh, and plastic components do not feel as durable as similarly priced options. ZOE makes a double BEST stroller, the ZOE XL2 BEST v2 and one other single stroller, the ZOE XLC BEST v2, which they market as the ultimate travel option. While the XLC is somewhat smaller when folded, it is the same weight as the XL1 and very similar in features and design. So unless space really is limited, we aren't sure the smaller seating area and more compact fold are worth the higher price. The ZOE XL2 BEST v2 is a double stroller that won an award in our Best Double Umbrella Strollers Review. Amazon $179.99 - 22% off!